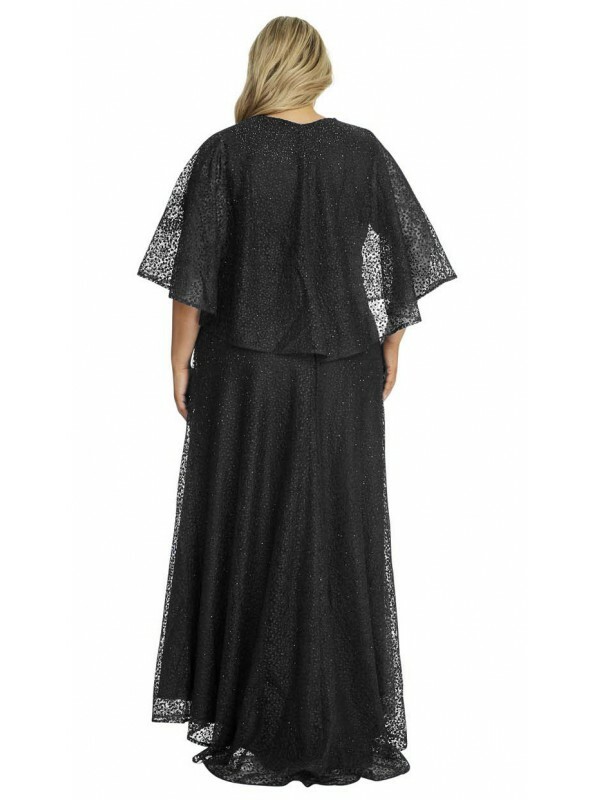 This is a floor length evening gown that will make you sparkle. The embroidered fabric is studded with small crystals that catch the light as you move. Also featuring a stunning cape for arm cover that is attached at the neckline.